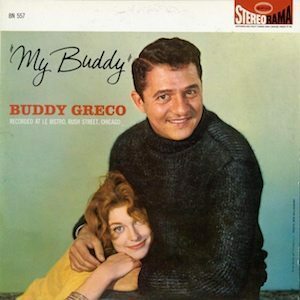 Singer and pianist Buddy Greco, who played with Benny Goodman, recorded for Frank Sinatra‘s label and sang on the same stage as The Beatles, died yesterday (10 January) in Las Vegas. He was 90. Born Armando Greco in Philadelphia in 1926, he was playing piano as a toddler and went on tour as a singer with Goodman’s orchestra when he was just 16. Four years later, he left to develop his solo career as a singer and pianist in nightclubs. In November 1963, he was on the bill for the Royal Variety Performance, held at the Prince of Wales Theatre in London’s Leicester Square in the presence of the Queen Mother and Princess Margaret. The evening also featured such diverse talents as Marlene Dietrich, still appearing with her musical director Burt Bacharach, and British entertainers including Max Bygraves, Charlie Drake, Tommy Steele, Eric Sykes & Hattie Jacques and Harry Secombe. Greco became a well-known face on TV and in movies in the 1960s, in the series Away We Go and, in 1969, playing Lucky Jones in The Girl Who Knew Too Much, starring Adam (Batman) West. 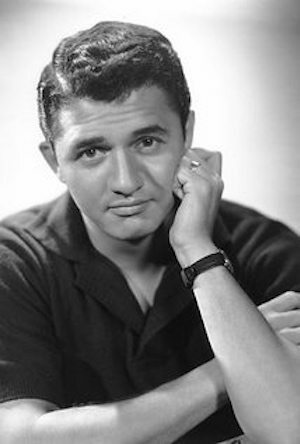 He recorded for Epic from the 1950s to the mid-’60s before signing to Sinatra’s Reprise label and releasing such albums as In A Brand New Bag and Big Bands and Ballads. Greco became good friends with Sinatra and the other members of the Rat Pack. Later, he moved to London, where he co-produced the show Fever! The Music of Miss Peggy Lee. As a measure of his stature, Greco was invited to perform on the 2011 edition of Jools Holland’s annual BBC TV Hootenanny special for New Year’s Eve.